You are the go-to firm in your area for whatever niche accounting services you specialise in. In fact you’re so good that your clients are starting to ask if you’re able to take on other accounting duties. Maybe you helped them build up their small business and they’re asking you to take on their personal finances as well. Or perhaps you did payroll services for their company and they’d like you to take on their SMSF work. You’re certainly willing, but you’re not quite sure that you’re ready and able. Back Office Shared Services can help you feel secure when you go to expand your menu of services. It can cost a big chunk of change to bring in a new member to your in-house team to specialise in the services you haven’t previously offered. You’re going to be looking at a new salary, benefits, furniture, sick leave, superannuation, and so on. All this for someone who might not have enough work in the immediate future to make them worthwhile. The alternative is to train yourself in the procedures and regulations associated with the new service. That means your current workload is likely to slow down, leaving clients a little less impressed with you, and now they’re not going to send you any more additional work. Back Office Shared Services helps you keep your new costs well under control. There are no physical costs, and no time lost for training. You ask us for a specialist in the area you’re looking to expand into and you’re pretty much done. From then on all you have to do is get your client’s info and send it to us. You now have a new service on your menu without any real financial risk. You’ve put a lot of effort into building up your firm and your reputation means a lot to you. You really want to keep your clients happy by being able to say “yes” to any requests, but you’re worried you might get snowed under by the increased workload. The other concern with a work slowdown of course is that you’d be responsible for accruing penalties. Back Office Shared Services aids you in taking on extra services with very little extra work on your part. As mentioned above, once you have selected your overseas team all you have to do is make sure that you have all the necessary information from your client. Once the file is completed you may very well want to run a quality assurance check (which is perfectly natural), but after the info collation the real work on your end is essentially complete. Every type of service you take on is going to require familiarising yourself with the associated rules and regulations. That’s a heap of reading to do on top of your regular work practice hours. Or you can let Back Office Shared Services handle it for you. While we’re not saying that you should just completely ignore legislation, you can rest assured that you’re not going to inadvertently miss anything you’re not yet up to speed on. Your overseas accountants are fully certified on and knowledgeable about all best practices for accounting in Australia and New Zealand. Also, with BOSS’ overseas talent pool you’re never in danger of losing all of that specialised knowledge if your in-house talent decides to take a position at another firm. Before Back Office Shared Services’ outsourcing was available taking on additional services at the request of a client was a dicey proposition for a budding accounting firm. But not anymore. Our services are designed with the thought of helping you expand at the forefront of our mind. 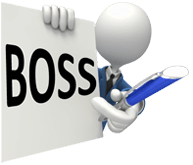 Outsourcing Accounting Jobs: Why Choose BOSS?